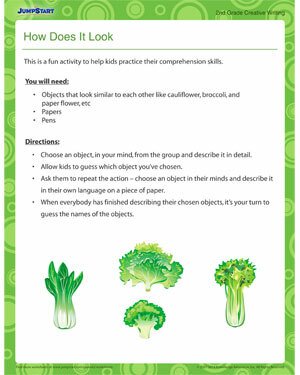 ‘How Does It Look’ is a classroom activity for 2nd grade kids that will help them practice their comprehension and creative writing skills. The 2nd grade activity will help them express their thoughts clearly and concisely without teachers’/parents’ help. Make sure the objects displayed are as similar to each other as possible so that the classroom activity becomes challenging.